Today's the last day of my Expert's Picks over on Fat Quarter Shop Bella Parade. What did you think? Did you have as much fun playing along as I did making all of the picks? What do you think? Does my (admittedly eclectic) combination of yellow, purple, grey, and lime green work? So I have a crazy idea. I love all of the little fabric collections that I've created this week, and since I know I will never have the time to make quilts from each one of them, I'm thinking of something a bit more manageable. Mini quilts, maybe? Do you also have little bundles of fat quarters just waiting to be made into something beautiful? I'm sure I'm not the only one. Is anyone interested in a Mini Quilt Parade quilt-along? I love the partridge print! I have several fat quarters in the yellow/black/white/red color scheme with one being roosters that are black/white polka dotted. My coordinates are red with hearts, polka dots, and black/white patterned which will look great together but not sure what pattern to do. If you did something that highlighted the partridges maybe I'd get some ideas. If I get time I'll take a photo and publish to my blog. I don't have a flicker account- not sure what to do with it. This is my favorite of all the groups! Wild and sassy! Love the color combo. You rock! I love mini quilts, but no time right now. I'm backed up with a soldier quilt, 2 family quilts and a Sideline that needs to be finished. Sounds like fun though. I've never done a mini quilt before, so I'd probably join in too, even though I'm a million years away from needing new projects. 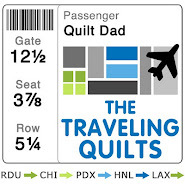 A miniquilt quiltalong sounds like fun! I've always thought purple went well with yellow and lime green, so yeah, this is a great color combination! I really really really don't like yellow but I like your colour combo- the colours look great together. I love purple which helps. I love making minis as I find it hard to make the time for larger quilts so would love a mini quilt along. A great grouping! 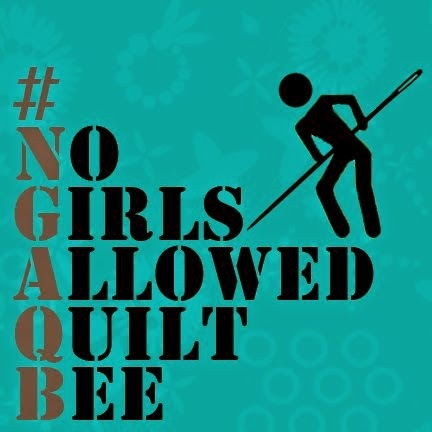 A mini-quilt QAL would be perfect. I'll keep an eye out for it! Great idea and fabric combo~~~I'm in! let the designing begin!! beautiful. I totally agree that the color combination of all of these are simply amazing. 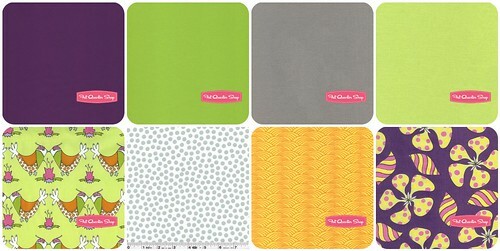 And yes, I agree that a mini-quilt QAL would be perfect! Good luck! Love your choice of fabrics. I just made a mini quilt from a QAL. It was lots of fun. I would like to make another one. Thanks. oh, mini quilts, love the idea!